A football pool template can be used to create a variety of contests for friends, family and co-workers. Free printable templates can help those running these pools keep track of participants, potential payments and prizes. 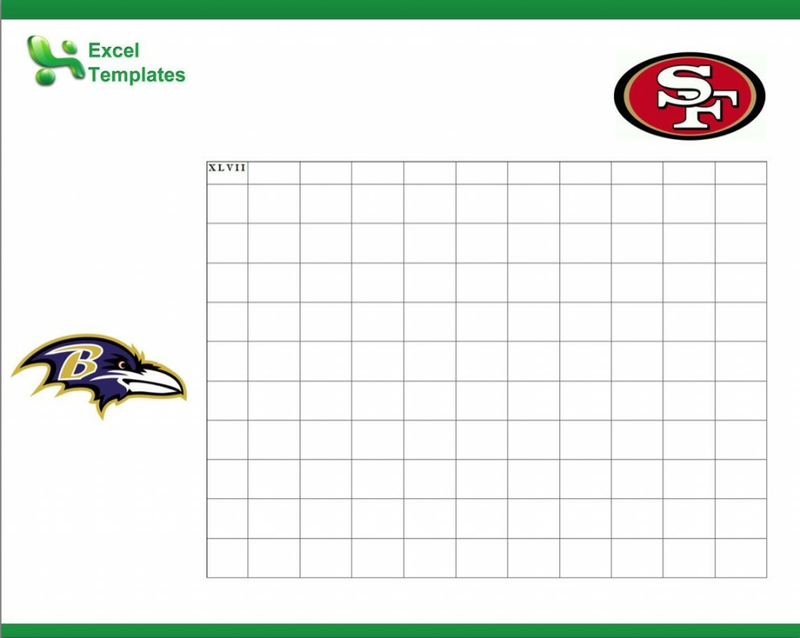 There are a variety of contests you can create using a football pool template. This page explores some of them. Note: All information published on this page is for entertainment purposes only. • Pick ‘em Pool – A pick ‘em pool is by the most popular contest associated with pro or college football. They are so popular because football fans of all levels of knowledge can participate in them. Some pools ask participants to just pick the straight up winner of a game, while others incorporate the Las Vegas point spread. In either case, some games may be weighted more than others to avoid ties at the end of the week’s games. • Squares Pool – A squares pool is most commonly associated with the Super Bowl. In this pool, the final score usually determines who wins the biggest prize of the pool. These grids can include as few as 25 squares or as many as 100. • Proposition Pool – A proposition pool is also usually reserved for the Super Bowl, but it can be used for any other game as well. A football pool template can be used to create a series of prop questions for a single game. Questions like which team will win the coin toss, which team will have more rushing yards or passing yards, which team will have more turnovers, even which team will have more penalties. The possibilities for questions in a prop pool are nearly endless.